Watch Terror in a Texas Town western movie free online. 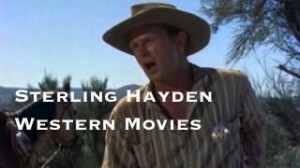 This movie stars Sterling Hayden and is a pretty Strange western movie as far as westerns go! There are subtitles! This page did have Watch Bend of the River James Stewart western movie free online But that wonderful western movie is not available at this time and some of the comments may be about that western.westerns from all over the web for you to watch here for FREE . Here is another James Stewart western movie Bend of the River from the 1950s . Clicked on the Bend of the River James Stewart western link and nothing happens. Bend in the River is gone again but is still posted as being active. Can we get the movie back? Where is a search box? the movie “BEND OF THE RIVER” WITH JAMES STEWART IS NO LONGER THERE TO WATCH.CAN YOU GET IT BACK? ALSO CAN YOU GET THE MOVIE “SHANE” WITH ALAN LAD?